Motor Cycle Despatch Corps. "L" Coy. R. E.
Killed in action - shot through the head. Second son of Gladstone & Eva Louisa (nee BATHGATE) ROBINSON, of Oakwood, Glen-iti, Timaru. Educated at Fairview, Gleniti & High Street, Dunedin schools, Christ's College, Christchurch, & the Waitaki High School. In about 1912 he went to England with his parents, & went into business with his uncles, Messrs. E. S. and A. Robinson, well known paper merchants. His mother was on the committee to establish the Timaru war memorial. "Oakwood" estate was purchased for settlement of discharged soldiers after WWI. 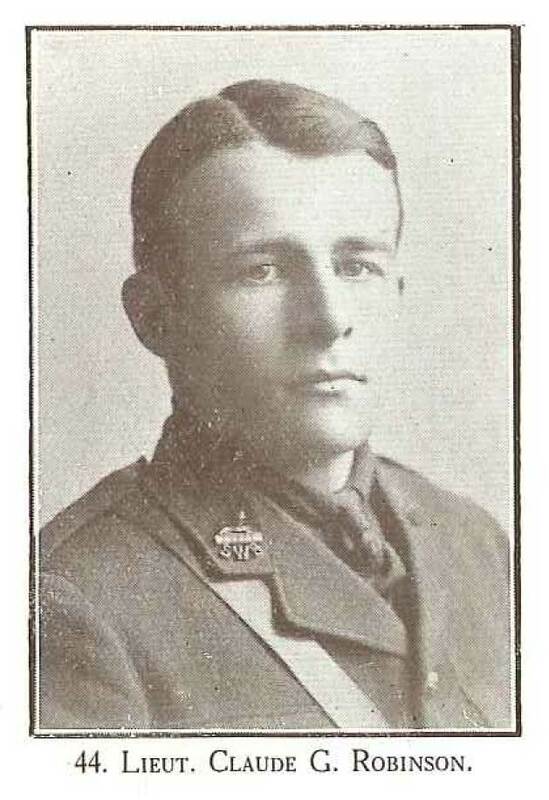 Cousin Clifford Kossuth ROBINSON who served in the NZ Forces, died of disease in December 1915. His parents presented a handsome brass tablet in his memory to the Waitaki Boys' High School. See newspaper articles for tributes (printouts attached to BIO file). See BIO.